POWERSTATE Brushless Motor: Purposely built for the M18 FUEL SUPER SAWZALL to provide the power and performance of a 15A corded reciprocating saw. REDLITHIUM HIGH OUTPUT HD12.0 Battery Pack: Provides 50% more power and runs 50% cooler versus standard REDLITHIUM HD packs. The SUPER SAWZALL Reciprocating Saw generates 15A corded power, Faster Cuts than 15A reciprocating saws and delivers Up To 150 Cuts in 2x12 SPF per charge. 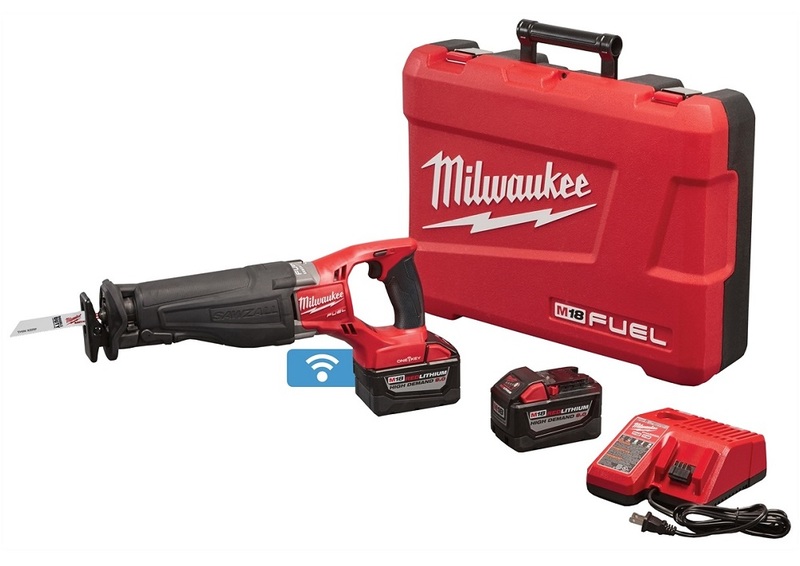 Designed to perform in the toughest applications, the M18 FUEL SUPER SAWZALL combines Milwaukee's legendary performance and durability with the portability of the M18 platform. The POWERSTATE Brushless Motor Provides 3,000 SPM and higher speeds under load for corded cutting performance. REDLINK PLUS intelligence ensures maximum performance and protection from overload, overheating and over discharge. The M18 REDLITHIUM High Output HD12.0 battery delivers unmatched run-time in all applications. The 1-1/4" stroke length removes more material with each stroke and On/Off Orbital action provides aggressive cuts in wood and smooth cuts in metal. Variable speed trigger and 5-speed dial provide maximum speed control for any application. The QUIK-LOK blade clamp allows for tool less blade changes and a rafter hook provides a convenient way to store the saw between cuts.